The complex of Jable Bermudas contains 120 apartments that consist of a bedroom with two beds or a double bed, a fully equipped kitchen, a private bathroom, a balcony and a small living area. 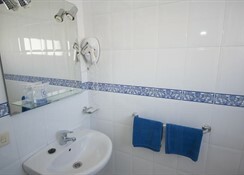 They come with a range of appliances including an electric stove, microwave, refrigerator, coffee maker and hair dryer. Guests are also provided with a telephone with a direct line, a satellite TV or a safe. Cleaning is carried out 3 times per week as well. At the Jable Bermudas you will find a freshwater pool surrounded by a large solarium with sun beds, chairs and umbrellas. There is a snack bar at the pool and the hotel also has facilities to rent a bicycle or car as well as a currency exchange. 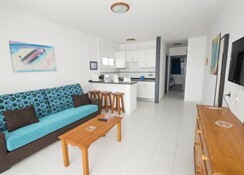 Jable Bermudas is perfectly located in the heart of the town and is very close to the beach. In general, Puerto del Carmen is one of the most active tourist areas on the island of Lanzarote. Its seven kilometers of coastline consists of an endless number of beaches, such as Playa Grande, Los Pocillos, Matagorda and Lima. They are composed of fine sand and many of them are suitable for windsurfing although you can also take part in some scuba diving in the crystal clear waters or other sports such as volleyball. 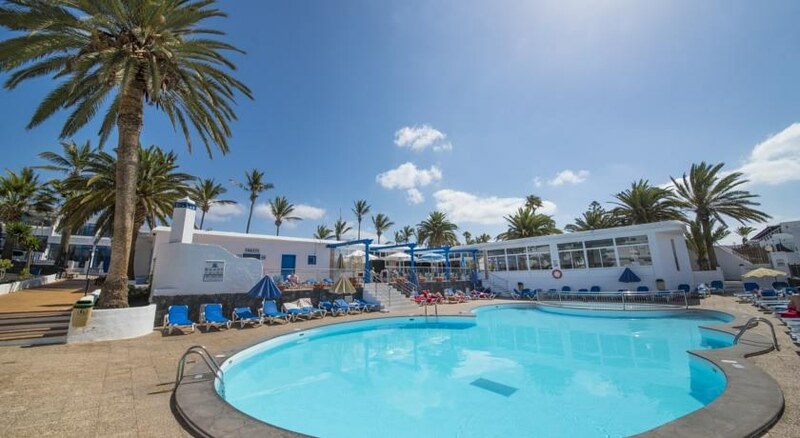 The Lanzarote Airport is at a distance of 10 kilometres from the hotel. Jable Bermudas apartments are composed of a fully equipped kitchen, a spacious living room, a balcony with views and a private bathroom. 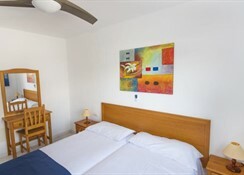 All rooms have appliances and adequate furniture. Rooms are equipped with amenities such as a hairdryer in the bathroom, microwave and refrigerator in the kitchen, as well as a satellite TV in the living room. Guests can also make use of internet connection and a safe deposit box is available, but this does incur a local charge. 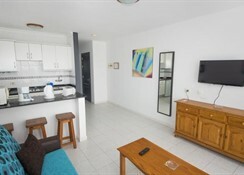 The rooms at Jable Bermudas provide a fully equipped kitchen and allow guests to cook meals of their choice. Additionally, head out to explore a number of bars and restaurants to suit your taste as there are plenty in the immediate area surrounding the hotel. The main attraction of the hotel is its large swimming pool surrounded by sun beds and umbrellas. It is also accompanied by a bar, a games room and an Internet Café. There is also a supermarket, tennis courts, mini golf courses and a gym. At reception you can rent bikes and cars or request information for various excursions to the local sights. Enthusiastic golfers can tee off at the nearest course which is only 3km from the hotel.